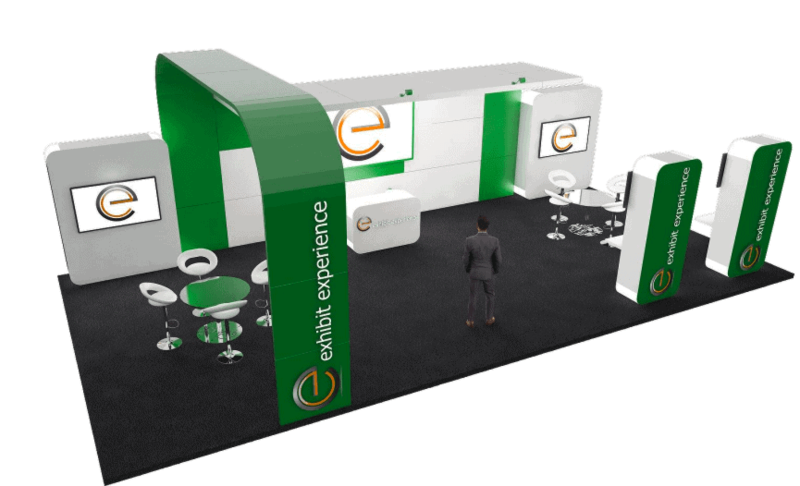 20 x 40 NPE Tradeshow Exhibit Builder features an arched structure with bold messaging connected to the welcome area that has an LED lighted welcome desk counter, backed with a large TV display and innovative trade show lighting solutions. This stand offers multiple working spaces with tables and chairs for one to one meetings, a large lounge style meeting zone with sofas, display counters to showcase products, and trade show racks for literature display. Our booths are completely reconfigurable and are delivered fully turnkey. This exhibit is available within 60 days. For more information in regard to 20 x 40 NPE Tradeshow Exhibit Builder, give us a call at (800)-354-6022 or send us an email at [email protected] Contact us today for your complimentary consultation.